I’ll use this thread to keep track of changes made to my log viewer. If you have any suggestions to improve it or run into any trouble using it, please post below. You already improved it tremendously by adding the verbose downloads…That was a major improvement. Pretty cool on my iPad! Not sure that “enjoy” is the correct word here…but get your point. I have 3 reasons for looking at these files, both from you and other sources. I do this as a hobby, along with flying itself. After 25 years of data analysis I am still learning new things with current technology. I have always been one that will “lend a hand” so to speak for the sake of others who may be having difficulty in most any situation, which is why I look at data in regard to this. I use this data myself for my own aircraft, for maintenance or other issues which I might see in the data files from my own aircraft. This is why I say “enjoy” may not have been the premium choice of words. Again though, I get the point. Looks Great! I haven’t compared it side by side, but does it have more data than the files sent to Airdata? does it have more data than the files sent to Airdata? Airdata reads the same TXT flight log files. They are just presenting the data in a different way. Today, I added a green “H” marker to the map to show where the home point is located. That marker will reposition itself if the home point is moved mid-flight. 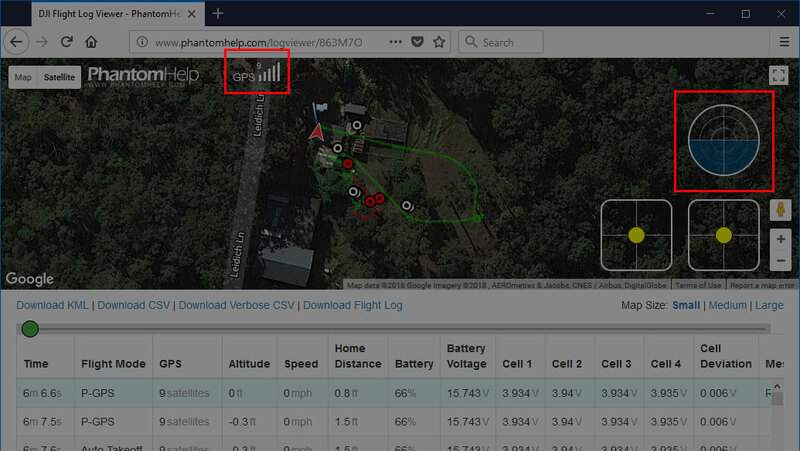 I made a change today to show the “VPS Altitude” column for Mavic 2 flight logs. Hi, thank you so much for your help to read the logs ! 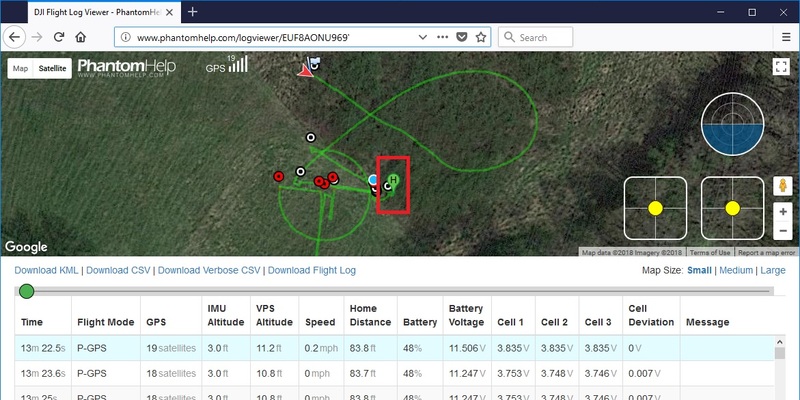 For a project, I need to be able to access detailed LOGs from Mavic 2. This includes the IMU (gyroscope, acceleration) information. Any idea how I could do this ? DJI GO 4 gives me a .txt that I can convert in a CSV, but there is no gyroscope information. The .DAT extracted from the drone, with DJI Assistant 2, extraction and CSView gives me the same end .dat as on my iPhone. I’d be interested in if the .DAT file pulled from the controller \ app would contain additional data than what the ,TXT file would as well. MSINGER thank you for the log viewer adjustments \ tweaks, I love the data that I can extract & view. Unfortunately I stumbled upon the tool after investigating how to analyze post crash \ drone loss event. The FLY00Xx.DAT indeed contains more information. 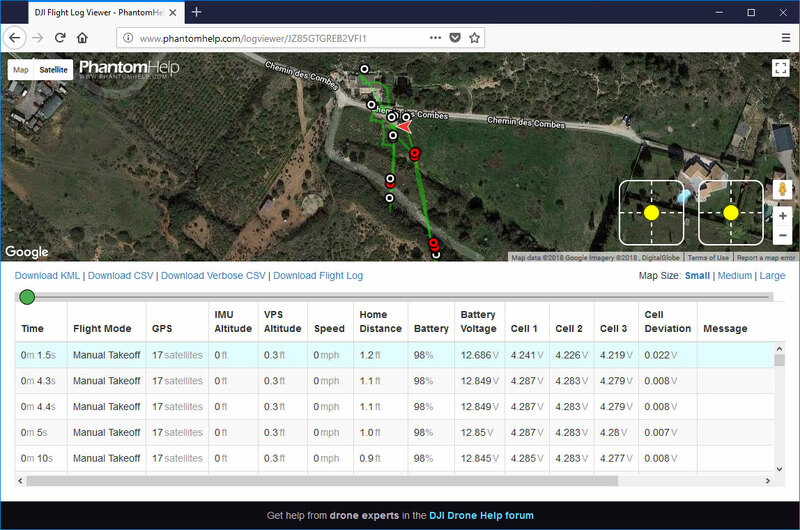 You can extract it from the Dji go data, same as for the txt. Then you have to process it through CsView.